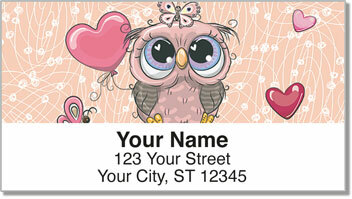 Give every letter and package you send some cute personality with return address labels featuring oddball owls. These adorable owl illustrations will liven up your outgoing mail while making it easy to complete the routine task of getting it all ready for the mailman. 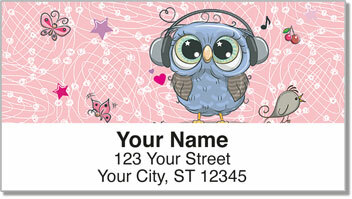 Owls are known for their wisdom, and ordering Cartoon Owl Address Labels from CheckAdvantage is definitely a wise choice. You'll never have to write your name and address on an envelope again! Plus, you can also use them to mark all sorts of personal property with your name and address. 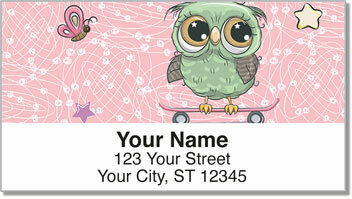 Get your very own Cartoon Owl Address Labels right now! 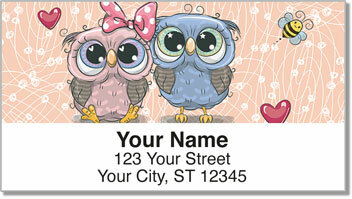 You can also find this design as a set of matching personal checks.